These are, for me, the least fun cards to make. 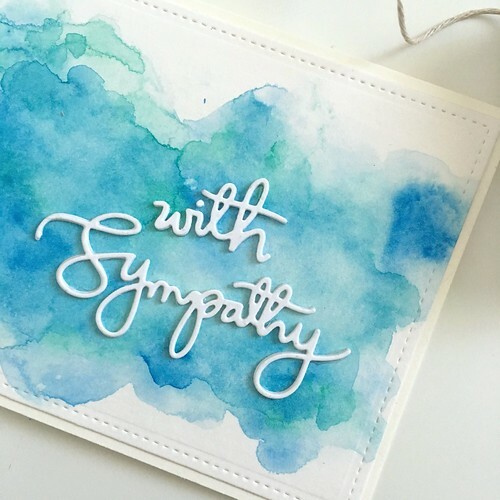 But, sometimes the challenge of making a sympathy card that conveys a message of heartfelt condolence (while not being a total downer) is a worthwhile one to take on. 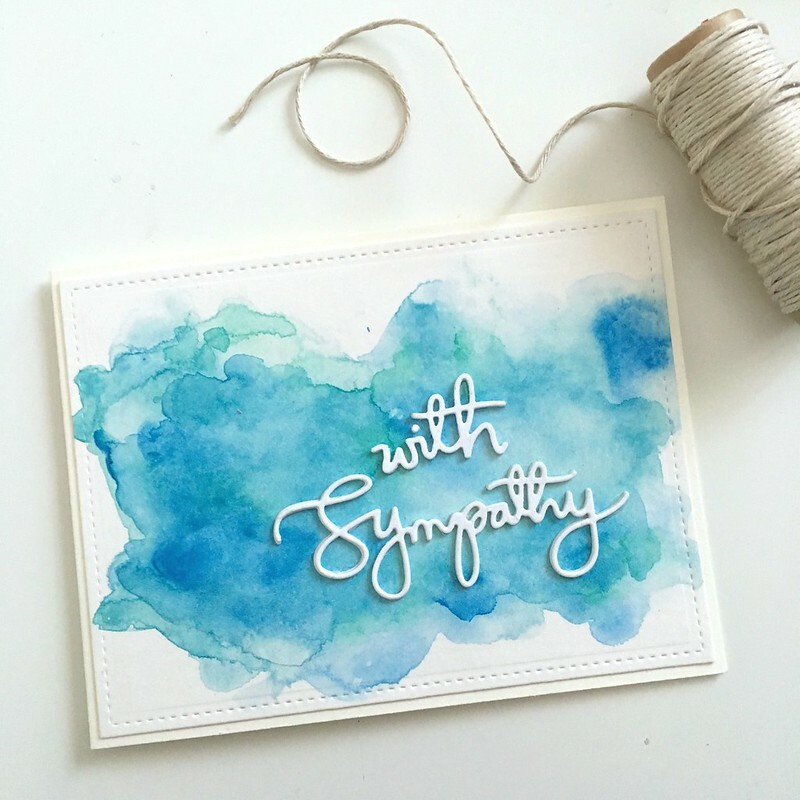 I really love a simple watercolor wash for the background of a sympathy card. I find the ethereal nature of the watercolor effect to be really soothing yet poignant at the same time. So, the few sympathy cards I’ve made in the last few years have really given me the opportunity to play with watercolor washes – building up layers, mixing colors, messing up and starting over. All of that good stuff. And, if you just let the water do the work for you, you end up not overthinking the end result, which is nice when you are working on this kind of card. 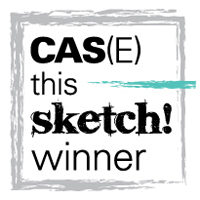 I used my Gansai Tambi watercolors on some Canson watercolor paper for the panel. As I said, I let the water do most of the work and painted several layers, letting each layer dry before adding more color. I cut out the dried panel using a stitched rectangle die. 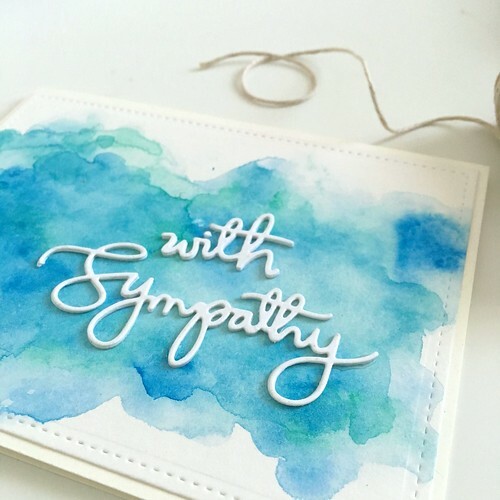 For the sentiment, I used a With Sympathy die from Simon Says Stamp. This one is quite delicate, and I find I always like the end result best if I layer up several die cuts on top of each other (I typically adhere them together with spray adhesive.). I used some double sided tape to adhere the panel to an off-white colored 4Bar card base and called it a day. I debated sequins, but decided it would be best to leave this one un-embellished.